The Roman world formed the social and cultural backdrop to the emergence of the Christian movement, which has in turn deeply influenced the world we live in today. So what was life like for ordinary people of that time? Where did they live? What did they eat? What kinds of work did they do and what did they do in their time off? And what about social relationships? How did people understand their place in the world, and in relation to others and--very importantly--the gods? And, significantly, how was it that a marginalized, oppressed, Jewish renewal group from rural Galilee became one of the fastest-growing urban movements through the first century and became the dominant social, intellectual, and cultural influence throughout the Empire within 300 years? 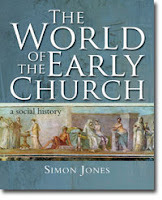 Perfect as an aid to individual Bible study, or as a topic for a group study, The World of the Early Church fills the gap between longer scholarly works and the short articles found in Bible guides and other general Bible study aids.